Tusshar Sasi	 September 4, 2017	 Leave a Comment on “Njandukalude Naattil Oridavela” marks the arrival of an assured filmmaker! In one of the film’s funniest scenes, Kurian (Nivin Pauly) quizzes his grandfather’s nurse Yesudas (Sharafudeen) whether it’s appropriate to pursue a romantic relationship during one of your parents’ acute sickness. Yesudas is quick to share how he met the love of his life hours before his critically ill father’s death. Hilariously staged and performed, this moment isn’t crucial to the film. However, it smoothly exposes (and clears) the conscience cloud that smothers our protagonist’s mind. 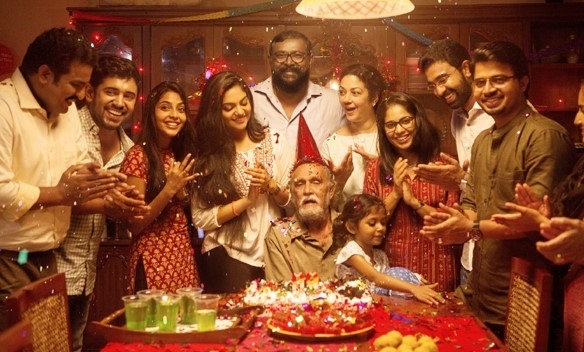 Director Althaf Salim’s oddly titled Njandukalude Naattil Oridavela is all about a collection of such everyday scenes in a routine upper middle-class family. Solely for the space that the film tries to take, I saw myself drawing parallels to archetypes from other industries. This is Zoya Akhtar’s world minus the melodrama and designer grandeur. This could also be a Hirokazu Koreeda’s realm with more in-your-face humour and fewer subtexts. 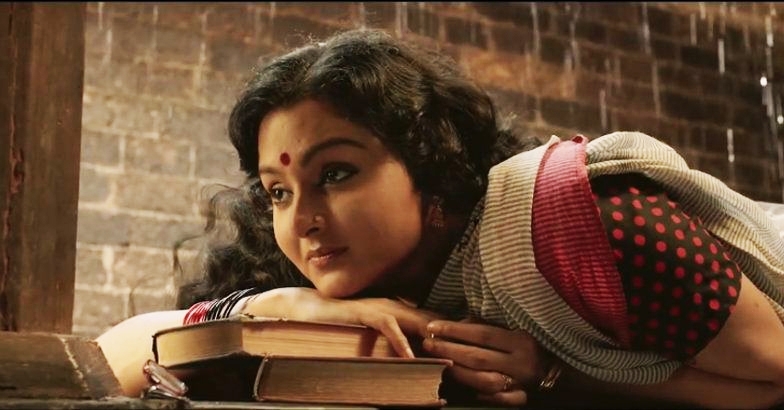 What the film is not in is a Wes Anderson or Aparna Sen’s milieu of absolute dysfunctionality. Money, survival and careers are least of concerns in the close-knit family that Althaf Salim portrays in Njandukalude Naattil Oridavela. The film consciously sheds the usual motifs of super-syrupiness or a villainous family member making things hard in a moment of crisis. And yes, there is a situation of a deadly disease (cancer) that the family faces and which forms the film’s central trope. It is said that you are never too prepared for a disease like cancer – be it for self or for a family member. Kurian is summoned from London by his folks which he believes is for his marriage. Someone with an entrepreneurial mind and plenty of resources at bay, we are never told what he was doing in the Queen’s land. Probably because it is an unimportant detail in a film as this where there is zilch need for the son to have a career. Salim nicely establishes family equations – the sceptic father, the miserly brother-in-law, a slightly aloof sister, the ailing grandfather and a hot-headed mother. 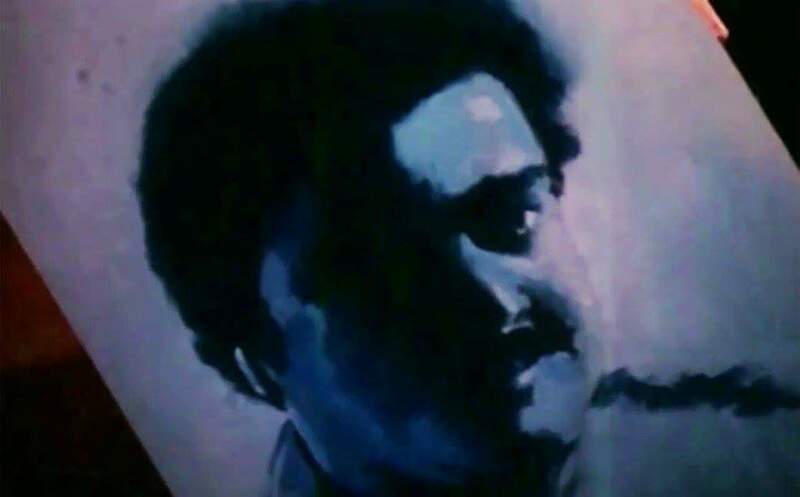 With some lovely still frames (Mukesh Muraleedharan), brisk editing (Dileep Dennies) and a carefully captured long take birthday party scene, we see the director making several dares that are unusual in commercial cinema format. While it isn’t wrong to say that the first half tests your patience, it is more due to Lal’s character which sets in tedium as the actor tends to overdo his cynic dad act. The screenplay (Althaf Salim, George Kora) in these portions is mediocre at best and we feel a needless hammering of staged humour which barely makes an impact. The film picks up immediately after the news on cancer diagnosis breaks out, eventually reducing Lal to a background prop until the finale. Njandukalude Naattil Oridavela’s victory lies in its confident everydayness which includes an inevitable dose of monotony. In perhaps the film’s most dramatic moment, Nivin remembers a superstitious belief of his mother – reminiscent of umpteen tidbits that every family breeds within the four walls of their home. Salim further balances the film with some ever-relatable conversations and characters. One being the ailing family patriarch with severe memory issues watching a Telebrands 6-pack trainer advertisement on television throughout the film. Post his death, a phone call informs the arrival of the product as ordered by the octogenarian. It’s an otherwise difficult juncture in the film but the characters greet the news with a spontaneous chuckle. So do we and that’s where the relatability quotient gets underlined. By now a favourite with Malayali families, Nivin Pauly looks heftier than ever. Also delivering a performance that is fairly breezy for his skill-set, the actor lets Njandukalude Naattil Oridavela take continuous digs on his weight – although in an inoffensive, non-cerebral way like most extended families do to their children. Facing a health-related crisis, we also see how Kurian and the family members aren’t particularly health-conscious. We see chips and other junk food stocked in the kitchen and consumed mindlessly. When a situation arises where the mother doesn’t cook anymore, we observe them ordering from restaurants. The progression is gradual here as the initial phase, indeed, shows younger women in the family try their hands at cooking. Another notable reflection on the health front is how relatives and well-wishers are accidentally insensitive to the sufferer’s sentiments. Simple things that are hard to deal with but are meant to be addressed somehow. Being a Nivin Pauly film, Njandukalude Naattil Oridavela also brings to us a mandatory (read complimentary) romantic track. Previously based in Bangalore, Rachel’s (Aishwarya Lekshmi) impulsive, ambiguous fondness for Kurian is mysterious, to say the least. Of course, the scenario is unlike like a Narasimham where the educated heroine coos and fangirls over our hero’s machismo for no rhyme or reason. Here it happens so hurriedly that we tend to think how Kurian is not even in good shape, to begin with. Then again, trust Nivin to convince us of such half-baked material. A Premam reference is made and the auditorium roars with laughter – clearly stating what they intended to accomplish from force-fitting the love story. Creatively visualized and shot by Salim, Njandukalude Naattil Oridavela is plagued with evident writing irregularities which prevent it from becoming a truly remarkable film. There are a bunch of performers who attempt to cover them up – Shanthi Krishna being the most wonderful. There is a fantastic use of rain in crucial scenes and at times the film’s wry, delicate humour veils other cracks on the screenplay from showing. Then again, for a film that is rather difficult to stage in a mainstream framework, we feel Njandukalude Naattil Oridavela deserves considerable leeway. The debutant director’s confidence blazes through his well-crafted frames and we, luckily, are not in for a soggy ride as Pauly’s 2016 drama Jacobinte Swargarajyam – which in itself is a big win for contemporary Malayalam cinema. Previous Post“Shubh Mangal Saavdhan” – A hysterical attempt to redefine the masculine hero in cinema! Next Post“The Other Side of Hope” – About hatred, humanity and a little humour!